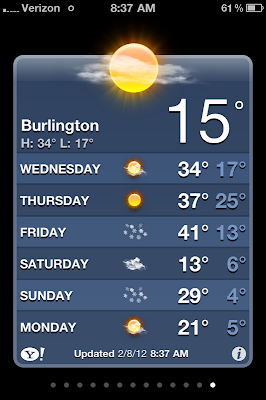 SMIDGE OF THIS: Friday - Friday - Friday! Hallelujah, the weekend is here! 1) I had a great wine date with some lovely ladies this past Monday evening at Nolen Kitchen. Do you recognize them all? 2) I already love Greek yogurt, but this one is a gamechanger. Absolutely my f﻿avorite. 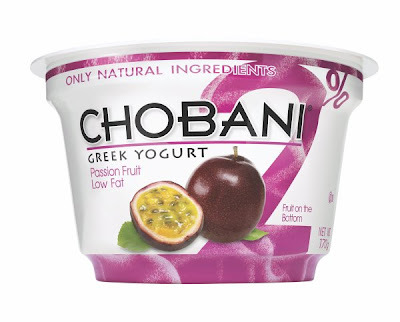 It's Chobani Passion Fruit, and I'm going back to the store today to stockpile this creamy goodness. Ian and I ate passion fruit in Dominican Republic on our honeymoon and I fell in love with this crazy fruit. This yogurt takes me back to that lovely time of no cell phones, no work drama, and a chilly glass of sauvignon blanc with lunch daily. Traveling wasn't too bad this time﻿ because I was upgraded to first class on 3 out of my 4 flights. 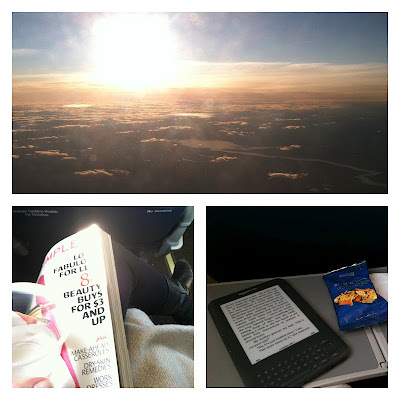 One of the few perks of flying a lot! I had some good magazines to keep me amused as well as the second Hunger Games book on my Kindle. 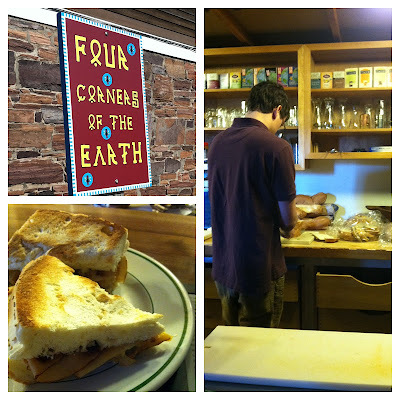 A trip to Burlington, VT just isn't complete without a trip to Four Corners of the Earth, according to my friend ﻿Kate! She clued me in on this interesting sandwich spot and even told me the exact sandwich I needed to order -- the Iraqi Turkey. Absolutely delish. 4) I'm head over heels in love with Drake, and he wants to show you today what sort of tricks he can do for a very coveted treat. 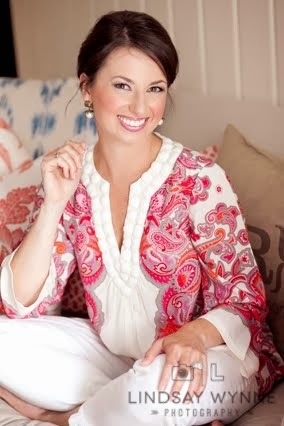 PS - This Sunday is the deadline for entering my Noble House Designs jewelry giveaway, so make sure you are entered! Your pup is so cute! When I pull out a treat for Brady he will try to do all of his tricks at once haha! Have a great weekend! What a great puppy! He seems SO polite! OMG! I'm in love with Drake! He's so well trained! And I just want to snuggle him :) Glad you have an open weekend. We kind of do too! It's M's last weekend in Boston before he moves, so I think we're having a dinner date Saturday and just hanging out with his family and friends. (I've been requested to teach his mom how to use the iPhone. This could get entertaining...) Hope you have a fantastic weekend! Def a game changer.....my new FAV! What a busy week! I adore Drake; he's so cute. :) It sounds like you have a relaxing weekend ahead! oh i LOVE drake :) he's such a cute doggie! Drake is adorable! I love the Hunger Games trilogy--cannot wait for the movie to come out next month! 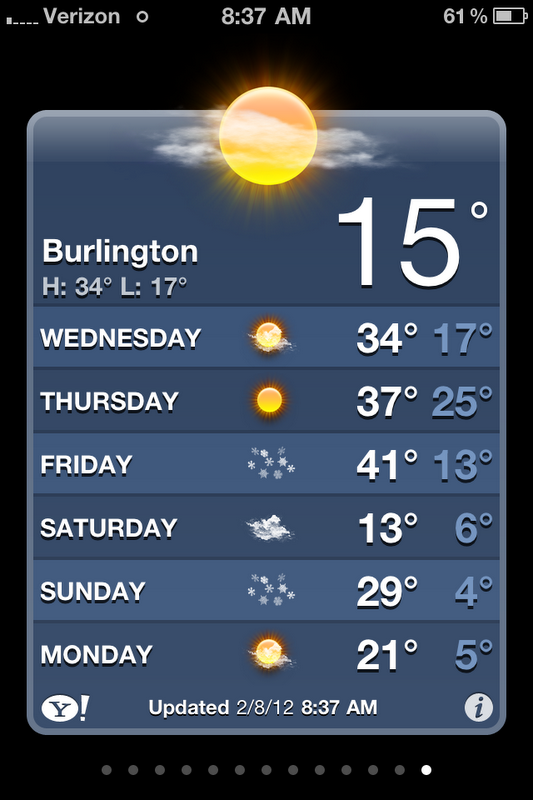 I have your Mexican Chicken in the crockpot right now--it's lookin' good : ) Have a great weekend! Had such a great time with you Monday! Don't you love the Hunger Games books? Love the Drake video! So cute! 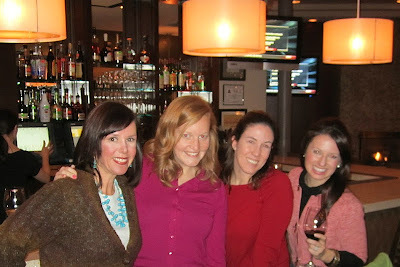 Y'all need to move up to Richmond so I can be a part of these bloggy wine dates, haha! So funny I just read this bc I was at Target last night and telling my sister that Chobani is the ish and I was like hmm wonder what flavor that is that they are completely out of andddd it was the Passion Fruit one! !